The goal for this pistol build is to make an AR180B upper that will work with an original lower as well as the NDS-18S. I have had several readers ask if such a thing is possible and I know that it is, but until now I didn’t know exactly what mods need to be made. 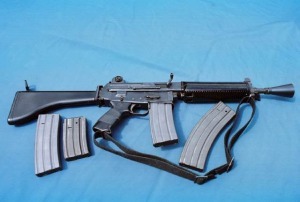 This upper will be my Guinea Pig. 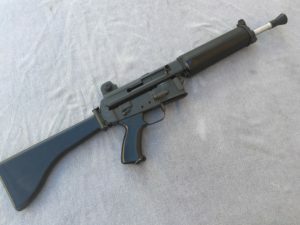 I also have to avoid any problems with building an illegal SBR till I get a stamp for my Costa Mesa lower. Here is my process as I see it. 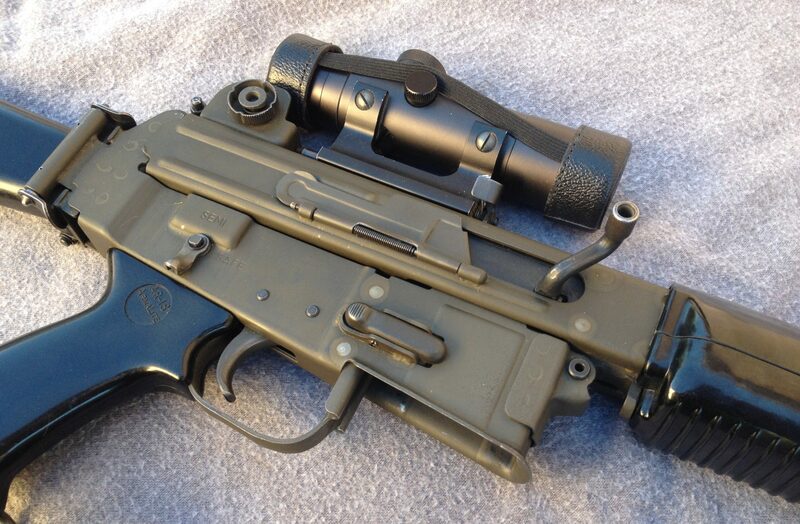 The 180B upper will not physically fit on an original lower do to clearance issues around the front pivot pin. 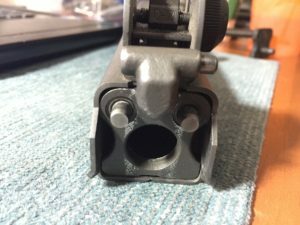 I also feel that I can fit the stripped upper to my lower if it does not have a barrel installed. 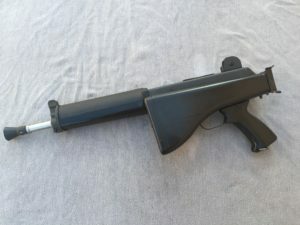 I will test fire the original lower with one of my original uppers and test fire my pistol upper with my new pistol NDS-18S lower. Never will the two fully meet till after the stamp comes back. I am starting with the stripped lower that I got at the last SAR West show. I finally found most of the fire control parts and it should be ready for testing soon. Just a quick mock up to show you what I hope it will look like down the road. 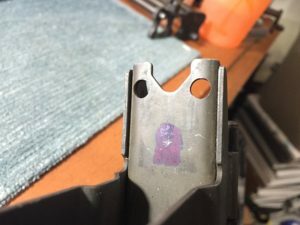 This will also apply to those looking to put a 180B rifle upper on their original lower. First issue is the clearance issue around the front pivot pin. The sides need to be milled down some to clear the ears on the lower. The second issue becomes apparent as soon as you attempt to mate the two. 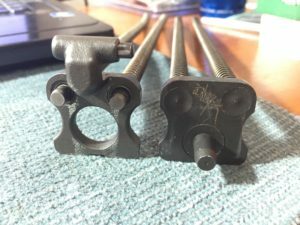 The guide rod assemblies are not the same between the 180 and the 180B. 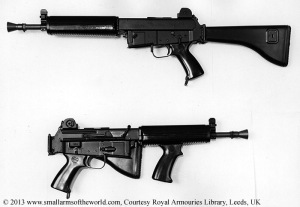 The NDS-18S gets around this by having holes to accommodate either assembly. The original lower only has provisions for the upper holes. I considered drilling a new hole but decided against it. You might think to yourself, why not use an original guide rod assembly in the B upper. 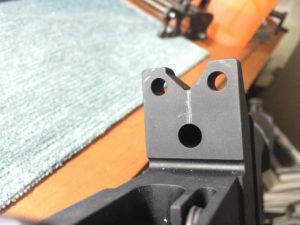 The rear sight is narrower on the B upper and that won’t work either. I am hoping I can come across a messed up original that I can make work or I may be forced to modify a B guide rod. I’m not opposed to modifying them but it looks like a royal pain to do.